We have a great range of venues available for performers and artists to choose from and we've set them out here, along with contact details and other useful information. Entrants to the Fringe are required to choose and book their own venues paying booking fees direct to the venues. This list has most venues that have been used during the Fringe. It is a work in progress in terms of the detail. The venues map shows where they are. Outdoor (including Busking spots) and Outreach venues are listed separately at the end. This venue list is not exhaustive and entrants are at liberty to find new venues for themselves, for example private houses have sometimes been used for exhibitions in the past. For queries from entrants: Send Message to Venues Liaison or telephone Gemma on 01298 78182. We have become aware that some venues may not have applied for the event licence that is necessary under the new legislation. If this is the case a Temporary Event Notice can be obtained from High Peak Borough Council. This is obtained by the entrant and costs £21. The venue may contribute to this. The form is 5 pages long but not complicated and needs to be returned at least 10 days before the event. From the High Peak Borough Council website you can apply online, or downlaod a pdf of the application form. Bath Rd, Buxton SK17 6HJ. Capacity 60, 14x11m with tiny stage. Kitchen. Please be aware that this is a heavily used space, and would not be suitable for anyone trying to do a run of performances and leave stuff. Access: No wheelchair access. Several steps throughout the building. No disabled toilets. Parking: Pay and display parking available on the Market Place. A new, purpose-built space 20m x 20m with a sprung floor and one fully mirrored wall. Seating can be arranged. 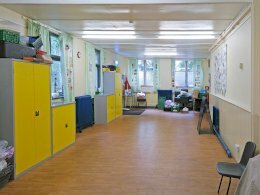 The space is in use during the school day and is generally available from 4:30pm. Access: Disabled access i.e. ramps, toilets and chair lifts throughout the school. Parking: Car parking available from College Road. Charges: Price on application - both access and charges are negotiable, particularly if performances/workshops for the school can be offered. Access: Ground floor with disabled access. DO/16, DO/17 and DO/18 are known as the Devonshire Suite or Triple Rooms. They have sound proof partition between each room. Once opened up together the will seat 300 theatre style. DO/16 and 18 will seat 40 theatre style and DO/17 will seat 140 theatre style. Built-in PA system, DPU and screen, Video and Dvd. Access: All rooms are on the ground floor and have disabled access. Charges: £100 PER ROOM, The price for all three rooms would be £300.00. DOG04 is a lecture theatre style room with full AV and screen - also has full demonstration cookery facilities. All rooms are subject to availability. 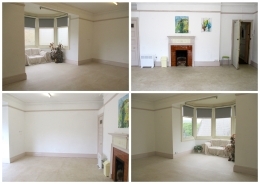 Various other smaller rooms may also be available, suitable for audiences of 20 - 40 from £100. Parking: Some local street parking, pay and display at The Crescent and Pavilion Gardens. Kents Bank Rd, Buxton SK17 9HW. 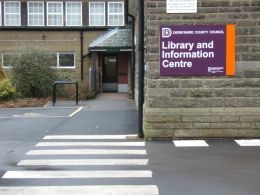 The Library Meeting Room is regularly used but may be available, especially in the evenings. It is approx 8m square but space is limited by computer resources. It seats 35 comfortably. There is no specialist performance equipment. We have a loop system available on request. Access: The library is fully wheelchair accessible. Parking: There is a large car park but this may be busy during the day in the week. Street parking available in the area. Charges are from £6 to £13 per hour during the day, but may be more expensive after 7 in the evening. Cheaper rates may be negotiated for local community groups. The Methodist Church is situated on the Market Place. Inside, there are two spaces available during the Fringe period. Both spaces have access to tea-making facilities. Alcohol and gambling are not permitted on our premises. Parking: There is pay and display parking adjacent to the church except during the week of the fair. Performers may be able to park on church property by arrangement. During the week of the fair, bookings are not taken due to noise disturbance. 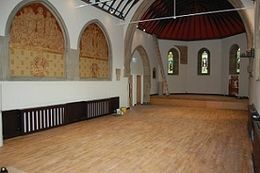 This is a large space with a balcony and raised chancel area suitable for performances. It holds up to 220 on flexible seating (i.e. not pews). There are fixed lights to the chancel area and a PA system with a wired and a radio mic. A good grand piano is available by arrangement and additional charge. The space is served by an induction loop system. 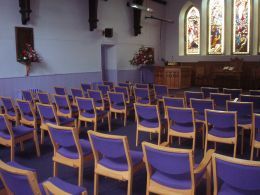 Groups considering the Church as a venue for speech and drama should discuss the acoustics with the venue directly before confirming a booking. Access: Stepped at main entrance but also access via a wheelchair ramp. This space holds 100. A good upright piano is available but there is no specialist performance equipment. Access: Level from a dedicated side entrance or several steps from the church level. A disabled toilet is on this floor. 42 High St, Buxton SK17 6HB. 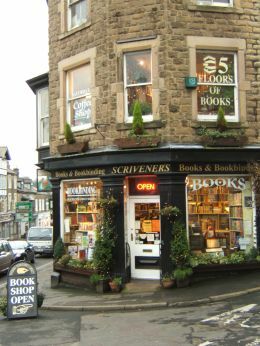 Scivener's is a second-hand and antiquariean bookshop on five floors. There is just about room for a small poet, musician, actors or performers and a family-size audience (up to 12). We've had exhibitions, bands, book-signings, storytellers, theatre (seated and promenade) and we're always willing to try something new! Toilets and a kitchen are available. Access: Unfortunately there is no wheelchair access. Step to front door and steep staircase within. Parking: Pay and display at the Market Place, some street parking. Charges: Negotiated to cover staff costs. Underground Venues is an award-winning venue group now in their fourteenth year at the Buxton Fringe. 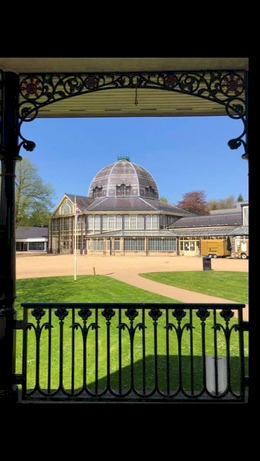 In 2019, they are running two spaces - The Clubhouse and the Arts Centre Studio, both in the very centre of Buxton, seconds from the Opera House and Fringe Desk. As a managed venue, Underground provide not only a fully equipped performance space but also help and advice in the run-up and during the Fringe. They actively curate a balanced programme of shows from different genres and backgrounds, with a particular focus on theatre, new writing, stand-up comedy, family shows, nd art forms or voices not often represented in the North West. 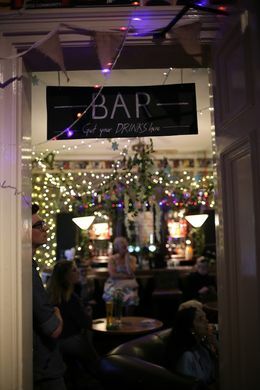 The Clubhouse is at the very heart of the Buxton Fringe, and has been a popular performance space for many years. In 2017 it became Underground's new base, with a custom-built theatre, all-day box office / information desk and dedicated Fringe bar. The theatre space is a custom-built, end-on theatre with raised stage and slight thrust. Entrances stage left and right. Full theatre lighting and sound capabilities and projection are all available. 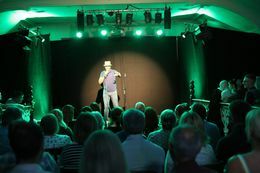 It is suitable for all theatre, comedy and music acts, apart from larger-scale theatre or those requiring more than 80 capacity - for those see the Arts Centre Studio below. 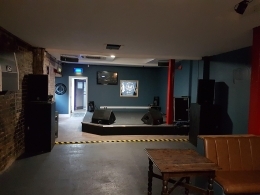 Plus a smaller space (the Tap Room) seating 20-30, suitable for acoustic music, spoken word, non-tech stand-up, other informal performances or events. Access: The venue is entered via four steps from street level but a ramp is available. The performance space does not have step-free access for performers. Please get in touch with any access queries. Entrants must apply through Underground's website - www.underthefringe.com - rather than registering with the Fringe. 23-31 March - We programme the majority of acts and submit details to the Fringe. 10 April - Last minute deadline for late entries. Late April - Exact dates and times for performances are confirmed. 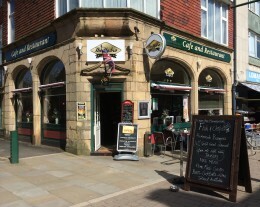 A retro cafe, bar and restaurant with a great atmosphere, that has hosted a wide variety of shows over the past ten years. We can provide chairs and tables (optional) in cabaret style or in rows. Maximum capacity is 50 (depending on layout). Bar is licensed till 11 pm - drinks and nibbles available. We do not have specialist lighting. PA available at extra cost. Access: There is one step in the entrance - otherwise level. Parking: Pay and Display parking off Bridge Street and in Waitrose Car park opposite for 300 cars and at the end of Spring Gardens. Charges: Negotiable between £30-£60 depending on time / duration of hire and audience numbers. Profit-share possible on ticket sales. Buxton Brewery Cellar opened its doors in 2018. The bar has 12 kegs taps and 2 cask taps, each one dedicated to beer from the local Buxton Brewery. It also sells a selection of artisanal wines and spirits, including the locally-made Buxton Gin. Buxton Brewery Cellar will suit as a great environment for a variety of live music. A characterful setting, it boasts beautiful open brickwork, arched ceilings, large windows and an outdoor seating area. Performances are welcomed mid-week, from any time after 7pm. Please note, we are a non-ticketed venue. Visits warmly welcomed. Access: Our venue is fully wheelchair accessible. Parking: Limited pay and display car parking is available just outside the venue. 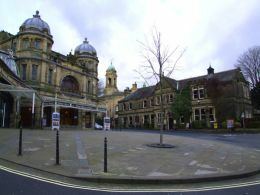 Also Pavilion Gardens Car Park, the Market Place and in front of The Old Hall Hotel. Parking is free after 6pm. A lively pub with potential for unticketed events. This could be low-key music or magic inside or larger events outside on the patio. Call for a chat if you have ideas. Location: three miles south of Buxton on A515 Ashbourne Road (5 minutes by car). 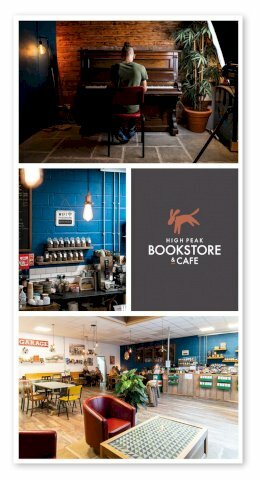 A large bookshop, with a comfortable, welcoming cafe within - suitable for a performance area. Please call for further details. Access: Ramped entrance, level within. Parking: Ample car parking on site. The Square, Buxton, SK17 6BD. 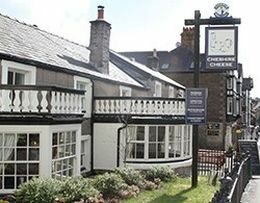 The Old Hall Hotel is unable to offer venue space for 2019 due to the ongoing Crescent re-development. Do drop in for refreshments, though! Palace Rd, Buxton SK17 6AG. Historic hotel with 187 bedrooms, gymnasium, swimming pool, sauna, beauty rooms, restaurant, lounge/bar snacks available all day, conservatory. Eight function rooms ranging from 56.4 metre square to 404 metres square. Theatre capacity from 20 to 350. Cabaret capacity from 10 to 220. Access: Ramp access into the building. Ground floor fully wheelchair accessible, all but one function room is on the ground floor. Disabled toilet located in the main hotel reception. Lift access to the majority of bedrooms. Parking: Car park with 122 spaces (complimentary parking for customers attending events). St John's Rd, Buxton SK17 6XN. The Pavilion Gardens complex is adjacent to the Opera House and has indoor and outdoor venues available. Access indoors is level throughout, with disabled toilets, except for the first floor Art Cafe. There is a wheelchair lift up to the Pavilion Arts Centre foyer. Used in the summer for brass band concerts, performances and civil weddings. Large concert hall (800 capacity) with stage. Used for variety of entertainment purposes including - Concerts, Fairs, Seminars, Gala Dinners, Meeting and Conferences. Accessibility: ground floor access, hearing loop system available. Charges: will vary, depending on time and usage. A pop-up theatre space housed in a geodesic dome measuring 14m across, complete with lighting and sound facilities. A semi-thrust stage of 6m x 5m. Seating for up to 120 people. Technician available for get-ins and get-outs. Box office facility provided. A brochure/publicity fee will be required. Please go to www.rotundatheatre.com or enquire for further details. Green Lane, Buxton SK17 9DH. Situated half a mile south of the town centre along Green Lane or Temple Rd. The Cavern holds guided heritage and educational tours of up to 30 people at a time. Tours are around 50 minutes in duration and operate at 20 minute intervals each day. The cavern therefore is not suitable for daytime performances. The cavern can be hired for evening performances up to 10 pm. For comfort and safety, audiences should not exceed 40 persons but suits promenade performances. The cavern lighting is pre-programmed for the heritage tours. Re-programming for event lighting may be possible with consultation in advance. Waterproof power points are available through the cavern. Access: The venue is an active natural limestone cave and therefore has associated hurdles to overcome. A well-maintained level path stretches to the end of the cavern with unassisted wheelchair access to the Main Chamber, approx. one third of the way in. There are a total of 26 steps but not all in one place. The cavern contains a seasonal stream which is normally not present in summer but can flow after heavy rain, this makes the cavern a very noisy environment. The cavern is a constant 7 degrees Celsius with high humidity and rain drips constantly. String and woodwind instruments may difficult to keep in tune and audience comfort should be considered with event duration, 1 hour approx. The woodland trails cover 100 acres of woodland with several possible circular or linear routes for storytelling or acrobatic performances. The woodland have free public access and public rights of way. A school room at the visitor centre may be used for workshops or reception/ticketing for woodland events. Suitable for daytime or evening events. Parking: Free dedicated parking is available for disabled visitors. Pay and Display car park on site. Charges: Vary depending on type of performance above/below ground etc. A busy pub restaurant open 1100-2300 Sunday-Thursday and 1100-0100 Friday and Saturday. Suitable for unticketed, family-appropriate music/DJs. This beautiful church has a capacity of 200 - 400 with a 40ft by 20ft performance area (can be extended but would reduce audience capacity). There is a kitchen preparation area, a piano for hire (plus charge for tuning if required) and a Wm Hill Organ available. A certain amount of staging is available to hire for performances. There are options for both flat platforms and also tiered seating (for performers only - not audience). Its wonderful acoustic makes it the perfect venue for the broadcast Festival masses. Some dates during the main Buxton Festival may be available, please enquire. Accessibility: Ramp up to level floor. Parking: Pay and Display car park opposite, accessed from Burlington Road, some on-street parking. 2. For concerts and other events with a paying audience when the total duration of the hire does not exceed 3 hours 2018 WAS *£200 Any additional time will be charged at the rate of *£25 per half hour or part thereof. 3. Educational or participatory events, where services are provided to children of school ange and where there is no paying audience *£30 per hour. 4. The charge for any other hires, not falling within the above categories, are by negotiation with the Churchwardens, through the Booking Officer. This Grade II listed church, built in 1917, can accommodate 200 people in pews and the choir stalls. 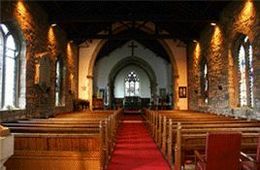 The church has PA system, and is suitable for music and drama performances. There are two separate vestries which can be used to store equipment or for rehearsals, plus an organ and a piano. Access: Wheelchair access and a hearing loop. Parking: A small car park, plus local on-street parking. St Peter's Rd, Buxton SK17 7EA. 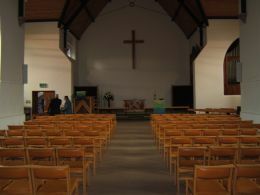 The Church has a capacity of 200 and is suitable for music and drama performances. The Church Hall is approx. 50 feet long and 25 feet wide and has a stage. It is suitable for rehearsals and/or performances. 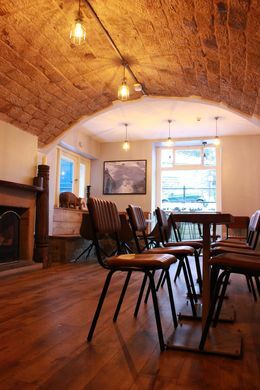 Situated just off the Market Place, South 16 is a brand new restaurant venue, available for hire during the 2019 Fringe. The restaurant specialises in tapas from Spain, Portugal and Mexico, many with a vegan twist. The room feels very friendly and seats 40 comfortably and would be perfect for poetry, storytelling, comedy, cabaret, folk music or jazz. If required, renters would need to provide their own sound systems, lights or stage. Charges: £25 as session, plus the charge of a Temporary Event Notice (£21) - please note, this charge may be shared if we have a number of bookings. Performance venue ideal for music, poetry, comedy, recitals, etc. Fully licensed. Capacity downstairs space: 175. Stage and full PA with monitors. Access: Easy access for disabled guests downstairs. Accessible toilet. Charges: Negotiable depending on upstairs or downstairs space and day/time booked. Parking: Pay and Display on the Market Place (outside Fair week, 9th-14th July), Pay and Display on The Slopes, some on-street parking locally. Nursery Lane, Buxton SK17 6UL. Please note that the Institute is heavily used and is not usually available except for weekends or the odd day/evening. Access: Disabled access and toilet. Parking: On-street only in this residential area. Please park considerately. A few minutes walk from the Opera House. Three rooms are available for hire with use of kitchen. Alcohol is not permitted. 7m x 15m Fully carpeted. Movable chairs. Raised dais at end. Yamaha Clavinova. Good acoustic. 50 comfortable chairs and 40 plastic stacking are flexibly available. Front of house and backstage can be organised separately for each room. Copy of letting conditions available on request. Access: We have wheelchair access into the blue room which can be used as an access for other rooms, providing the blue room is not in use. A toilet for the disabled is on that side of the building. Parking: Free parking outside the Church evenings and weekends. Nearest car park at Market Square or the Slopes. Contact: Mrs Mary MacDonald; 49 Otterhole Close, Buxton. Derbys. SK17 6DX. Telephone 01298 22449. 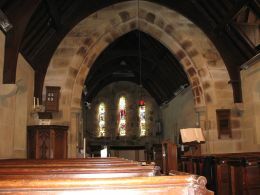 Email maryelmac@hotmail.com or go to church website www.buxtonurc.org.uk. The Arts Centre Studio is a state-of-the-art studio theatre, built in 2011, and as the studio for the Buxton Opera House. It offers opportunities for larger scale theatre, comedy and dance, with large cast or set, or needing greater technical capabilities or greater audience capacity. Playing space is approx. 6m x 5m with movable hanging tabs for flexible entrances or more performance area. Tiered theatre seating in an end-on formation. Full theatre lighting and sound capabilities and projection are all available. Dressing rooms below stage and storage space available. Parking: In the nearby Pavilion Gardens car-park (free after 6pm) or on St John's Road. Other free parking a short walk away. Unloading possible outside the venue. 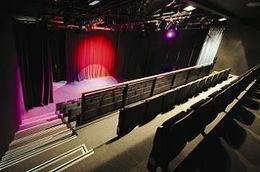 Access: Step-free access throughout for audiences (dressing rooms for performers however are down a flight of stairs). The Conservative Club is situated close to the Market Place. The Function Room will accommodate audiences up to 100, or 80 seated and has a built-in sound-system. It is available during the evening Monday to Friday. There is an artistes changing room with toilet. We have a licensed bar, but extra staff would be charged for. Access: Unfortunately, no wheelchair access. Small step within the Function Room. Parking: Pay and Display car parking on the Market Place. Limited on-street parking. The Grade II listed Victorian Pump Room opposite the magnificent Grade I Crescent was constructed in 1894. 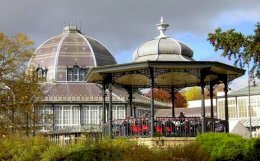 This light and inspiring heritage venue is in the heart of Buxton, within walking distance of the railway station, a University of Derby campus, the Opera House and the Pavilion Gardens. Available for hire for evening events from March 2019. Capacity: 80 chairs, 90 sq. metres of floor space: theatre, boardroom, horseshoe, classroom and cabaret style set up possible. Facilities: three trestle tables, projector screen and laptop, sound system (MP3 players), 14 plug sockets. Small annex/store room. Sunken oval pool at rear of space. Music licence held by Buxton Crescent Heritage Trust. Access: Two large main entrances opposite the Crescent. Accessible toilet. Parking: Pay and display parking nearby, Pavilion Gardens car park. Charges: Per hour from 6pm - £100; For evening from 6-11pm - £250; Projector and screen - £20. 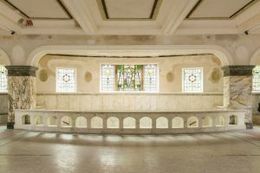 Christ Church is an atmospheric space with excellent acoustics, especially suitable for musical concerts, recitals, spoken word events or exhibitions. It has been host to many successful brass band concerts. Audience capacity is up to 200 seated on fixed pews. No specialist lighting. Movable microphones available. Refreshments can be arranged if required. Access: Wheelchair access throughout public areas; cars can drop off at the door. Hearing induction loop. Parking: Limited parking on site. Street parking in surrounding residential area - please park considerately. The Green Man is an independent gallery and arts centre housed in a loarge Victorian building behind Buxton Museum; easy to find thanks to its central location. It is managed and run by local artists and community volunteers and is popular with locals and visitors alike. It is a friendly managed venue which gives excellent support to performers and companies bringing shows to the Fringe, including Box Office services, Front of House management and additional promotion. A former ballroom, the ground floor of The Green Man provides an intimate venue with superb, large-room acoustics. There is a corner stage, but the spaces can be used flexibly depending on the nature of the performance. 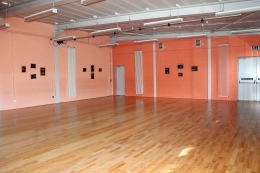 Used as a venue throughout the year, the gallery is popular with touring musicians and regularly hosts small-scale theatre and spoken word performances. 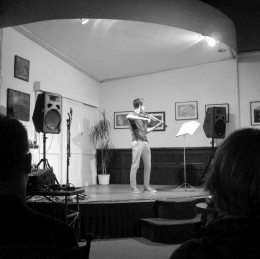 The acoustics are particularly good for folk, acoustic, jazz and classical music. There is a baby grand piano which can be used fo a small extra fee. Seating: Approximately a quarter of the ballroom is transformed into a venue for evening performances with either chairs in rows (max. 60) or cafe table seating (max. 45). The rest of the room is taken up by fixed display screens exhibiting art work. Available for performances outside gallery opening hours - between 6pm and 10pm. Charges: £30 for shows up to one hour or £45 for full length show with interval. Discounts for block bookings. Access: The ground floor (but not the stage) is accessible to wheelchairs. A large, light bay-windowed room up one flight of stairs on the mezzanine floor. (No lift.) The room is a flexible 'empty space' with good acoustics thanks to its high ceiling and hard flooring. Suitable for very small-scale theatre such as one-person shows, storytelling and other spoken word performances, children's events, small-scale musical performances, workshops, classes and rehearsals. Available for performances of up to 60 minutes during gallery opening hours and in the evening. NB This room is used regularly for classes, workshops and rehearsals by local artists, but the gallery will do its best to acommodate your show if they can. Charges: £30 for shows up to one hour. Discounts for block bookings. £15 per hour for workshops. £10 per hour for rehearsals. Parking: Pay and display parking on the Market Place. Limited on-street parking nearby. Here at the Best Western Lee Wood Hotel, we feel that we have the product just right with well appointed conference rooms, individually furnished bedrooms and a stylish restaurant; in fact, everything you would expect from a hotel overflowing with character. We are a family-run hotel situation in Buxton and we have beautiful well maintained gardens, which during the summer months have been used to host gatherings or even dinner parties. 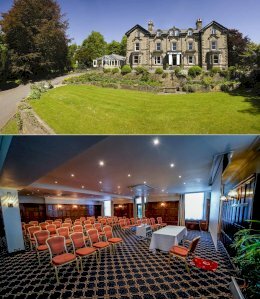 If you wish to use the hotel as a performance venue then please do not hesitate in contacting either Rebecca Rose or Nicola Longden at the hotel and we will be more than happy to discuss your requirements. We have five rooms available, with differing audience capacities and potential layouts. Access: All public areas are wheelchair accessible. Charges: Room hire is negotiable. Charges apply for hire of technical equipment: Stage, TV & Video, Overhead Projector, LCD Projector, Flip Chart & Accessories. Friendly pub with space available for unticketed, low-key events, such as acoustic/folk music. Seats aproximately 40 in the audience. There is no PA or other equipment provided. Opening hours noon to 11pm (midnight Fri & Sat). 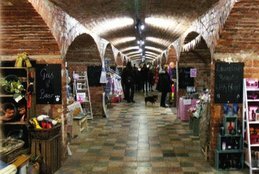 Initially designed as a low-cost showcase for fledging artisan business, The Arches has now evolved to offer a broader range of facilities including a venue for gatherings, workshops and events. We are licensed to sell alcohol and also hold a license for both streamed and live music. The venues's capacity will vary with each type of performance. We welcome visits from those interested performing at this venue. 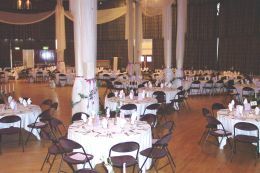 The unique, intimate venue is centrally located within a flat walking distance of the Buxton Opera House and Pavilion Gardens. We are happy to adapt the focus of our drinks and food menu to suit any occassion. Access: via ramp or steps with a handrail. Parking: there is a pay and display car park opposite the location alongside some free on-street parking. Charges: negotiable dependent on time/duration. Contact: Lynne Cliff at thearchesbuxton@gmail.com to arrange a meeting to discuss in further detail. 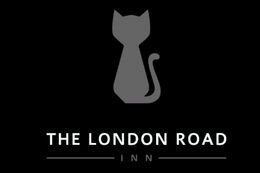 The London Road Inn is a fully licensed bar and live music venue catering to all genres and styles. 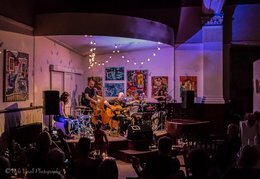 The 19th century pub reopened in June last year and quickly established a reputation for original live music, hosting artists from across the UK with some acts coming as far afield as the US, Canada and Europe. The venue supports original artists and provides an in-house PA.
Access: Easy access for disabled guests. Accessible toilet. 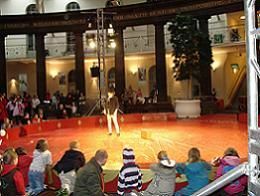 Buxton Festival Fringe and High Peak Borough Council are keen to work together to help anyone wishing to perform outdoors in Buxton, either as an official Fringe entry or as an informal busker. Buskers who do not pay the Fringe entry fee will not be featured in the Fringe programme or receive other publicity. The centre of the Festival, the Opera House is not available as a Fringe Venue! However, busking-type events (last year a Shakespeare Jukebox) have been permitted on the forecourt by arrangement with the Opera House and Festival management. The interval is too hectic a time for this to be feasible but during the day and before the start of the opera have worked well. The Fringe Desk is off the forecourt and this is a good place to publicise Fringe shows. 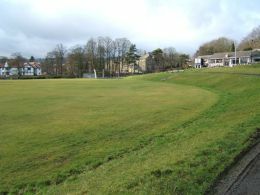 Buxton Cricket Ground is a beautiful natural amphitheatre which has been used for staged and ambulatory outdoor drama. Parking: Small car park and on-street parking. Modern built bandstand. Five years old - used for brass band concerts in summer, performances and civil weddings. Radio microphone. Music played through 10 watt JBL Speakers on Promenade. 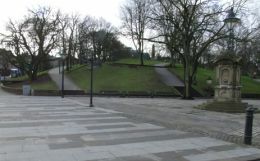 Accessibility: Steps up to bandstand. Charges: £100 a day. Technical assistance is at extra cost. A level grassed area approx 40m x 30m across the river from the Opera House and across the road from the Old Hall Hotel. The park is open to pedestrians at all times. Gates can be opened for vehicular access by arrangement. Due to its proximity to the Opera House those using this space in the evening will need to be able to reassure the Festival that noise will not disturb their audiences. Power is available by arrangement. 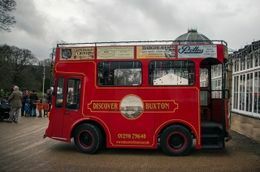 Discover Buxton Wonder of the Peak Tram or your very own "streetcar named desire"! Parked by the Gates of the Pavilion Gardens next to the Opera House. The tram is a unique vehicle having been converted from a milk float to look like a Victorian tram. It normally takes guided historic tours around the town and has two benches inside which face one another. There is a platform on the back of the tram offering a small stage for performers. It would be ideal for someone wanting to do close up magic or anyone requiring an intimate space. The tram is licensed to carry 8 passengers (when operating as a tour vehicle) but would be able to seat 10 people comfortably. It is quirky and delightfully different. Access: Unfortunately there is no wheelchair access however the two steps onto the vehicle are shallow for ease of access. Parking: Pay and display around The Square and Crescent. Pavilion Gardens car park. The woodland trails cover 100 acres of woodland with several possible circular or linear routes for storytelling or acrobatic performances. The woodlands have free public access and public rights of way. 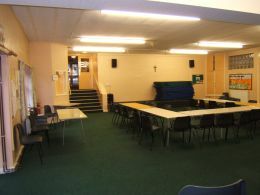 A school room at the Poole's Cavern visitor centre may be used for workshops or reception/ticketing for woodland events. Suitable for daytime or evening events. 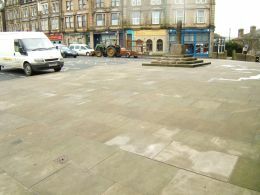 Buxton Markets are offering a performance area within the market. This can be open air, or we can provide a covered open-fronted stall if preferred. An electric supply is also available if required. The Market Place is covered by a Premises Licence for street theatre, music, dancing etc and we also have PPL and PRS licences in place. Time slots between 10am and 3pm are available free of charge on Saturday 6th July, Tuesday 16th July and Tuesday 23rd July 2019. Please note, on Saturday 20th July we will be hosting the Day of Dance. Do come along! There is no requirement for anyone to seek permission to busk in the town of Buxton as long as amplification and trading (eg. selling CDs) is not proposed. However, permission must be sought for busking on the Opera House Forecourt (see 08, above). Busking is not allowed within Pavilion Gardens. Street theatre does need a license. Anyone wishing to perform Street Theatre or use amplification and/or trade must contact High Peak Borough Council – Licensing Office, Town Hall, Buxton, SK17 6EL tel: 01298 28406 email: Customer-services@highpeak.gov.uk with 'Licensing Street Theatre' in the subject line. Anyone wishing to stage an event within Pavilion Gardens must gain permission (see 33, above). Performers should consider the risk to themselves of performing without public liability insurance. Buskers are asked to respect the locality and town users as well as other performers. At the bottom of Terrace Rd beneath the slopes of the Georgian promenade garden, this is a large area of level paving at the end of Buxton's main shopping street. 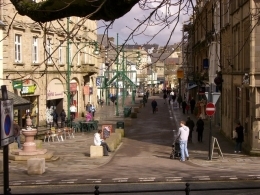 Spring Gardens is Buxton's main pedestrian shopping street. At the entrance to the modern mall is a canopy with power adjacent. Street performance is possible under here or on the adjacent areas. The Springs Shopping Centre may have scope for mime artists and 'living statues' to perform inside. The Centre would license and pay the performer who would not be allowed to busk. Other public spaces around the town are available if power is not needed. This is a catch all for events that happen outdoors in various places e.g. the Morris Dancing and some street performances. Spring Gardens at the Co-op/Iceland end. 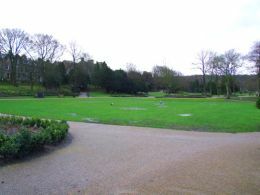 Pavilion Gardens Promenade1. By the entrance gate. For permission, see 33, above. Pavilion Gardens Promenade2. By the Café. For permission, see 33, above. Market Place 'peninsula' near the bus stops for the Matlock direction. Intending performers may email queries to venues@buxtonfringe.org.uk, with 'Street Performers and Busking' in the subject line. Approximately 3 miles outside Buxton on the A515 is the small Village of King Sterndale (SK17 9SF). 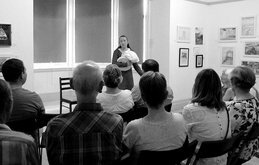 In a lovely parkland setting surrounding the Pickford Estate are two Buxton Fringe Outreach venues in buildings dating from the mid 1800's. 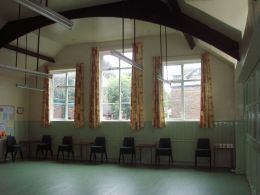 The Village hall is housed in the former Village School. The Hall, comprises the main hall 8.5m x 5.2m, a smaller room to the rear with it's own kitchen area, and a very large fully-equipped kitchen. There is also an outside area for seating. 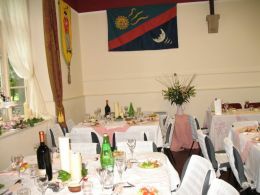 The Hall accomodates approx 40 seated at tables in the main hall, or 50 seated theatre style, 60 for a standing buffet. Access: The Hall has been fully refurbished with disabled access and toilets. Parking: Available only on the roadside verges, please park considerately. Christ Church is 21m x 5.5m with a wooden vaulted ceiling reaching up to 6.8m. Good acoustics, organ available and plenty of power points. Pew-style seating (each Pew is 2m long) with 9 rows on one side and 13 on the other side. Additional seating at the back with choir stalls at the front, maximum occupancy 98, 2 fire exits. 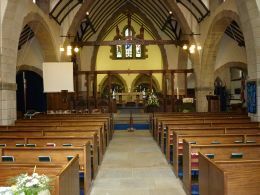 We can provide a tailored package to meet your requirements and assistance in venue management through our active fundraising group, The Friends of Christ Church King Sterndale. Access: Disabled access to church. Toilets available across the road in the Parish Hall. Brierlow Bar, Ashbourne Rd, Nr Buxton SK17 9PY. Location: three miles south of Buxton on A515 Ashbourne Rd (5 minutes by car). A large bookstore with a spacious and comfortable cafe area within - suitable for a performance space. Please call for details. Access: Ramps and disabled toilet. Parking: Large free car park. Dedicated to promoting the arts, the Centre re-opened in May 2012 after a three quarters of a million makeover funded mainly by the Heritage Lottery Fund. The Grade II Listed former Victorian church building has been beautifully restored and includes a new annexe. It provides a stunning performance venue with comfortable public areas and appointments. 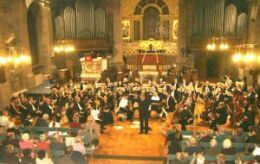 In its guise as a church, the Centre established popularity in past years as an outreach venue of the Fringe in New Mills (Buxton 12 miles). The main studio (The Mackie Hall) can seat 100. There is a raised end-on performance area which is partially demountable. The maximum size is approx 6m x 6m. However, the whole can be re-configured for more intimate performance in the body of the auditorium. Dance performance can easily be accommodated. There is stage lighting, sound equipment and wifi. The hosts will undertake to offer refreshments at events, by agreement. The venue has its own regular events programme and mailing list of "Friends" and will be keen to publicise events in the Fringe outreach season. This could be a low cost opportunity to extend your audience whil in Buxton. The Fringe hopes entrants will avail themselves of this opportunity. Charges: negotiable in the order of £80 per performance. 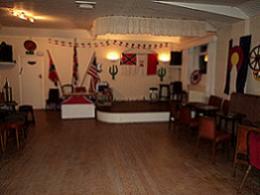 Sterndale Moor Social Club is situated just 4 miles / 7 mins South of Buxton. The club is set in a small village surrounded by the Peak District. 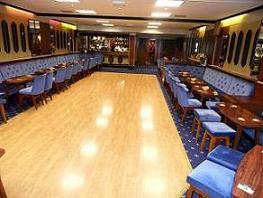 The Club can accommodate up to 200 people. 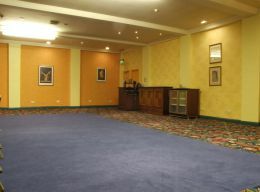 Complete with Function room with Wooden Dance floor and Stage (pictured). Room may be dressed as required. Separate Room with pool table, 2x snooker tables and dart board. Both rooms have access to a Licensed Bar (2am late license). Disabled Toilets and Ramp Available. Also outside is Large Field & Car Park with space for festival/stage. Outside toilets. Childrens play area. We are happy to accommodate a variety of artists/performers throughout the whole of the Fringe Festival from 8am until 2am (from 11pm we need to comply with licensing laws and show courtesy to our residents). Hire Charge + Security Deposit is negotiable depending on size and length of booking. The Charles Cotton Hotel is an historic building in the centre of picturesque Hartington village, only 15mins drive from Buxton. The venue would be suited to music, comedy and spoken-word events. The events room can accommodate c.75 if in theatre-style seating. Cabaret-style layout is also possible. We are not able to provide PA or lighting equipment. Access: Level floor throughout. Unfortunately, no wheelchair-accessible toilets. Parking: Small car park at rear of hotel. Easy parking at front. Chelmorton Memorial Institute is a focus of village life, approximately 4 miles south-east of Buxton. 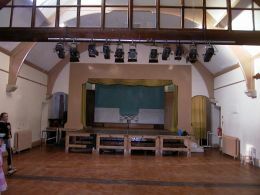 The hall has two rooms available: ground floor room, 38ft x 25ft, maximum capacity 150 persons, upstairs overall size 41ft x 25ft including a stage measuring 16ft x 8ft, maximum capacity 130 persons. Fully equipped kitchen also available by arrangement. Please enquire for availability. Access: Ground floor has double doors without steps and toilets that include disabled facilities. Upstairs is only accessible by stairs. Situated 10 minutes drive East of Buxton, just off the A6, Taddington is one of the highest villages in the country. Its close-knit community enjoys glorious Peakland scenery.